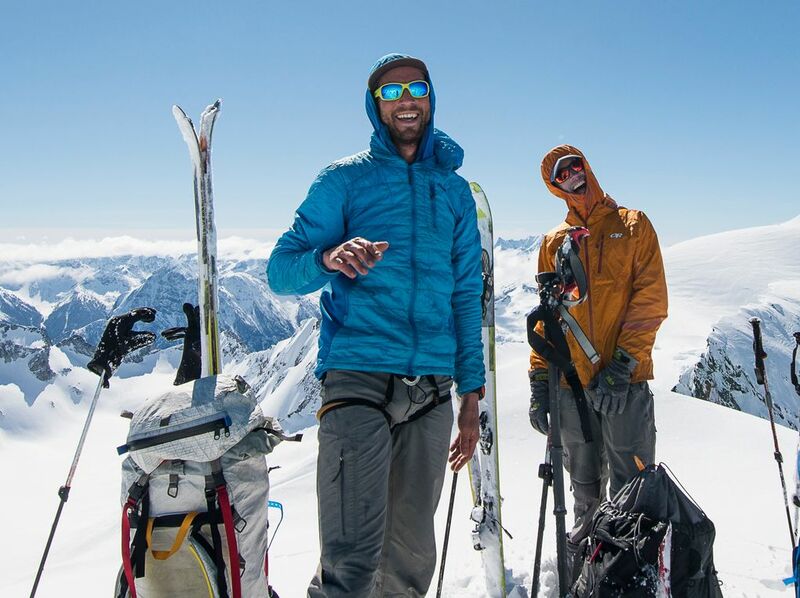 Backcountry skiers Trevor Kostanich and Forest McBrian have completed one of the most ambitious ski ventures ever attempted in Washington’s mountains. 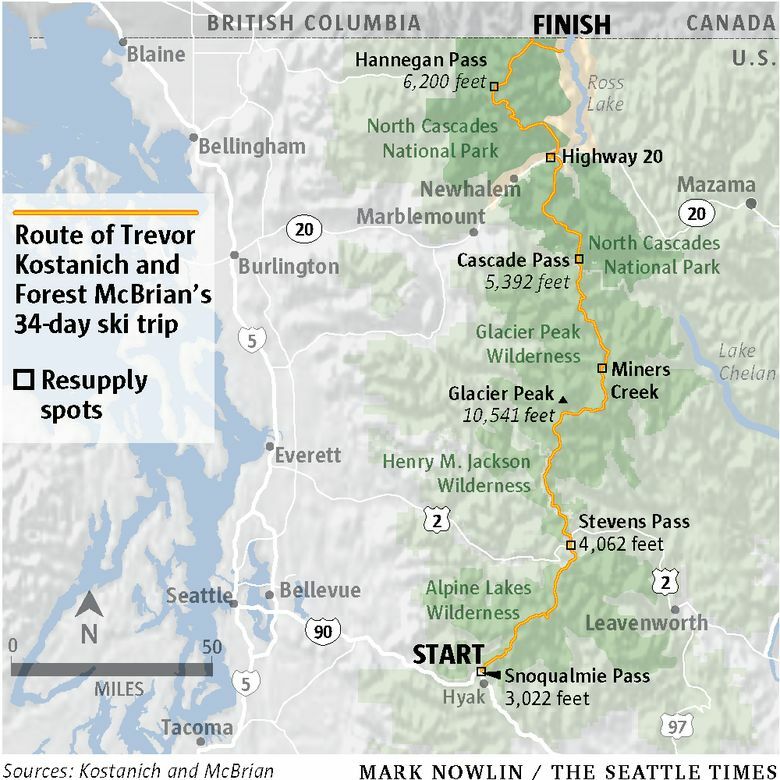 It took 30 paper maps, 23 8-ounce bottles of isobutane fuel and about 4,000 daily calories apiece for Trevor Kostanich and Forest McBrian to ski from Snoqualmie Pass to the Canadian border in a single, uninterrupted push. The pair emerged from the wilderness about a week ago, with stories to tell and showers to take. By the end of the trip, their cellphones (equipped with GPS) had died. Their solar charger was on the fritz. An animal, probably a pika, had eaten about a dozen quarter-sized holes into Kostanich’s shirt. Their fingers were raw. “It was blissful,” Kostanich said. 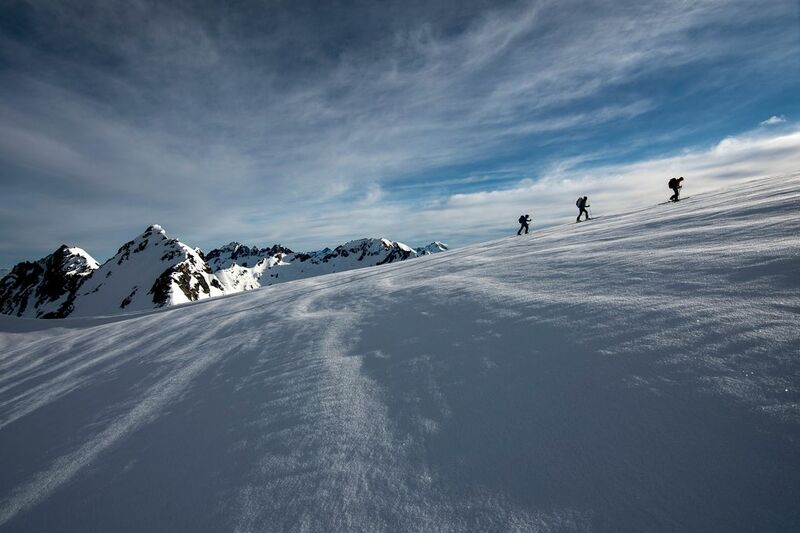 Save for some bushwhacking near Highway 20, the pair traveled almost entirely on skis, zigzagging past cornices, over glaciers and through the snowy passes of Washington’s Cascade range. Family and friends five times delivered them resupplies of food. The duo otherwise spent the month in near isolation. They spoke to just two sets of strangers during the journey, which spanned about 110 miles in straight-line distance and plenty more in actuality. 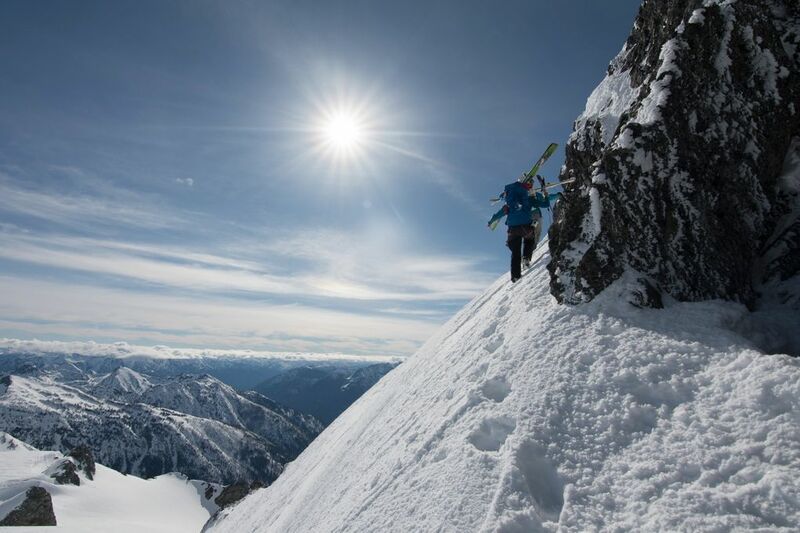 It’s likely the longest continuous ski traverse completed in Washington. THE STREAM OF WARM, WET AIR that keeps Seattle drenched for much of the year makes the Cascades a playground for backcountry skiers when it meets the eastside’s bitter cold. Snow piles up dozens of feet deep at high elevations, where temperatures preserve snow globe scenes into July. As you travel north, the Cascades adopt a more rugged character. Prominent and steep, the mountains cut dramatic silhouettes when the sun wanes. 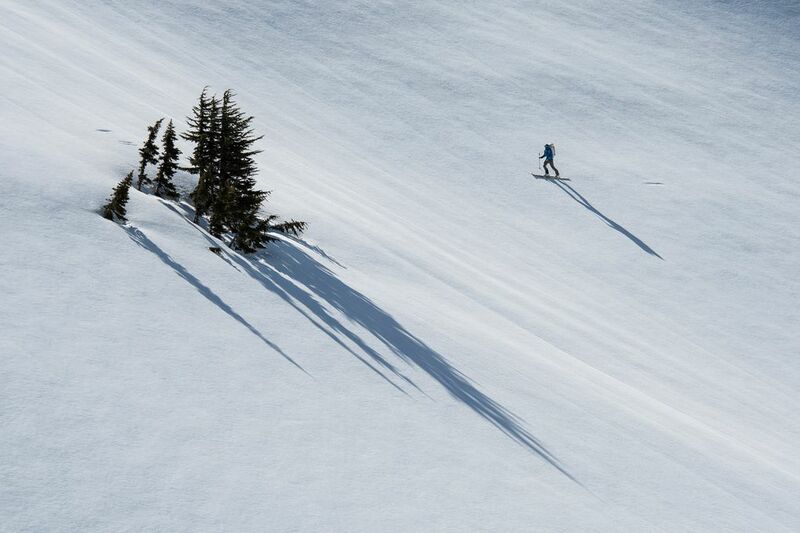 When snow blankets the range, backcountry skiers can travel great distances above tree line. 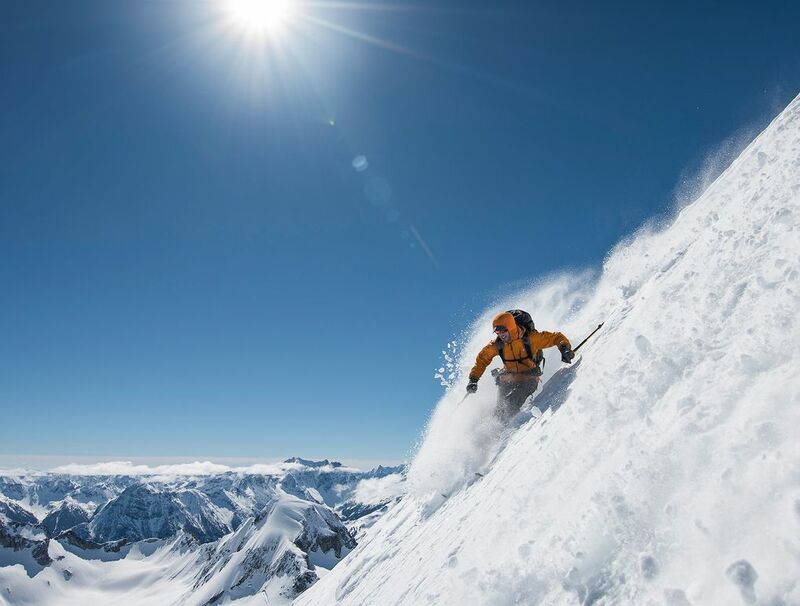 They ascend by attaching skins, essentially carpets adhered with glue, to the bottoms of their skis that grip the snow, and then rip them off to descend untracked terrain. 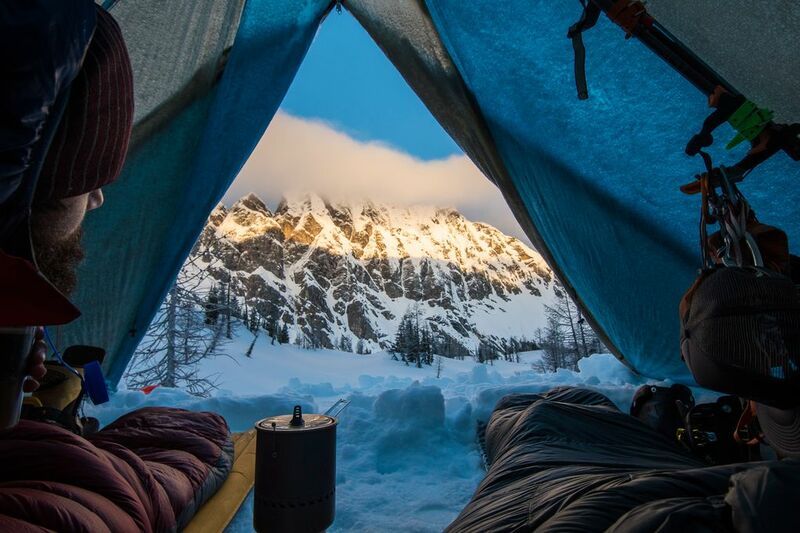 Kostanich and McBrian long dreamed of traveling the northern half of Washington’s Cascades. Skoog and other skiers pioneered many sections of the journey in the 1980s and ’90s, but had never assembled the pieces in a single, sustained trip. Few would be better suited for the task than Kostanich, 42, and McBrian, 37, whose friendship grew when they were neighbors in North Bend. Both are longtime guides in the Cascades. Kostanich works as a consultant in recreational development and serves on the North Bend city council. McBrian is an education and operations manager at the Northwest Avalanche Center. 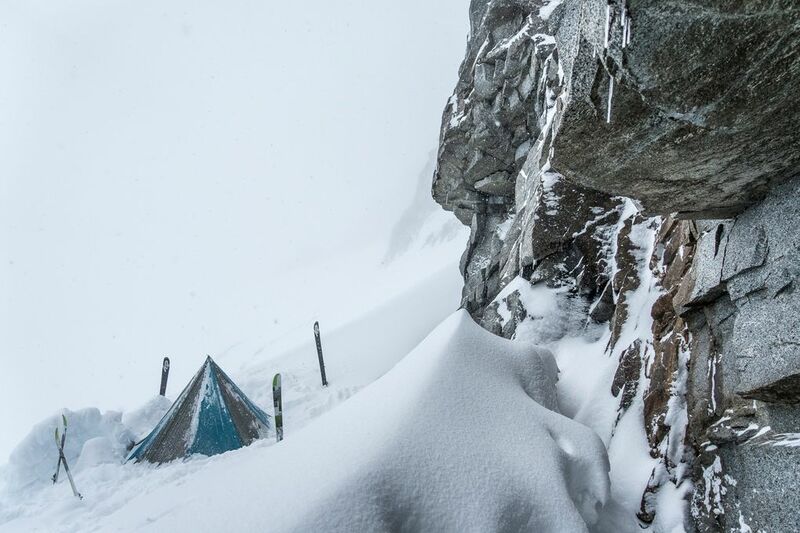 Both men said the trip was the culmination of their experience in the mountains. 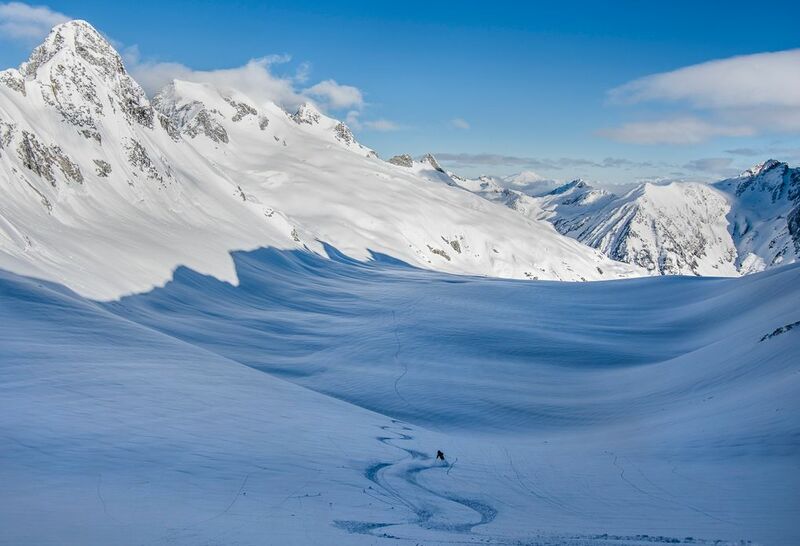 SOLITUDE, ONE LURE OF SKI TOURING, also can be its deadly danger. 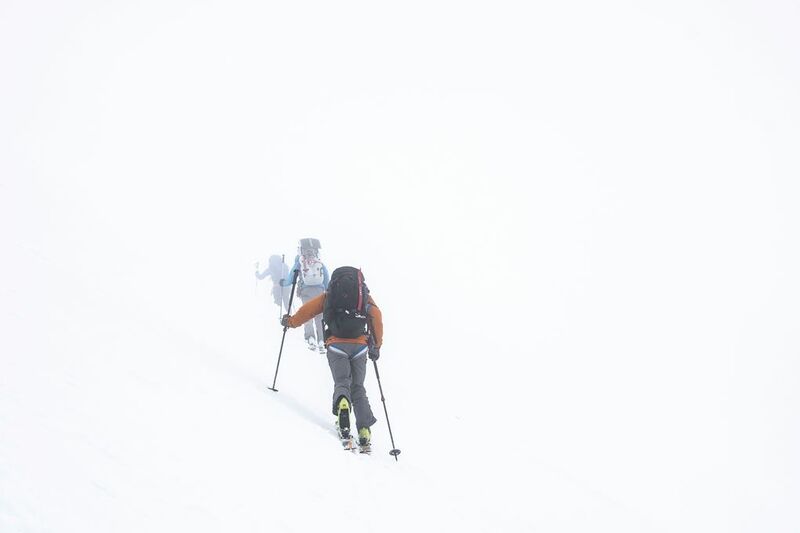 That’s particularly true in winter, when more types of avalanche threaten, storms are frequent and whiteout conditions loom. For a long trip, spring is a safer bet, but timing makes for a delicate dance. Leave too early, and skiers face winter’s entire arsenal. Leave too late, and there might not be enough snow at all. “May, from a statistical perspective and our own experience, seemed like the best compromise,” McBrian said. Planning for the trip began in 2013, as Kostanich, McBrian and his former wife, Erin Smart, each sketched out a third of the trip and built a rough trip plan. 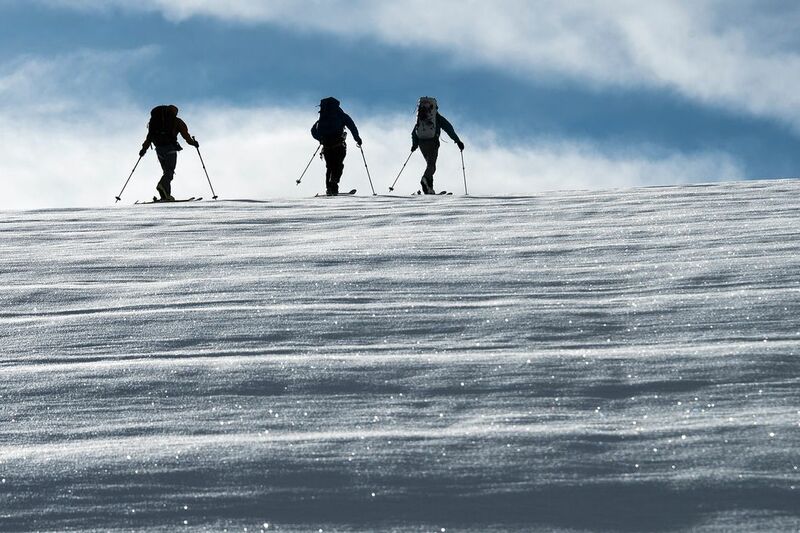 The trio intended to ski the route in 2015, but were thwarted by drought. Smart now lives in France, but Kostanich and McBrian were able to seize on this season’s hearty snow. “We had to blank out a month of our lives,” Kostanich said. On May 1, they took off, weathered early soakings, and then quickly settled into a routine. 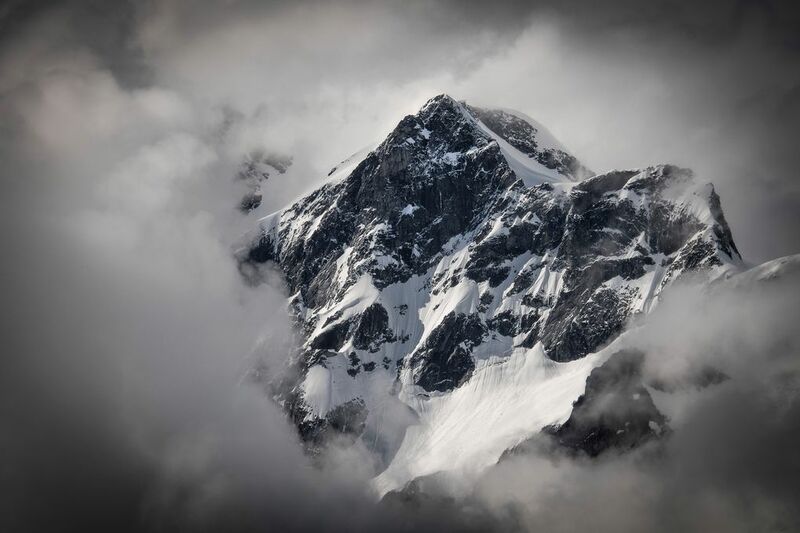 Most days, the pair would wake up early, sometimes at 3 or 4 a.m., and ski until about noon, as warming temperatures raised avalanche risk and made for slow progress. Then, they’d dig a platform, pitch the tent and almost immediately hop in sleeping bags; then eat, hydrate and plan the next day’s route. 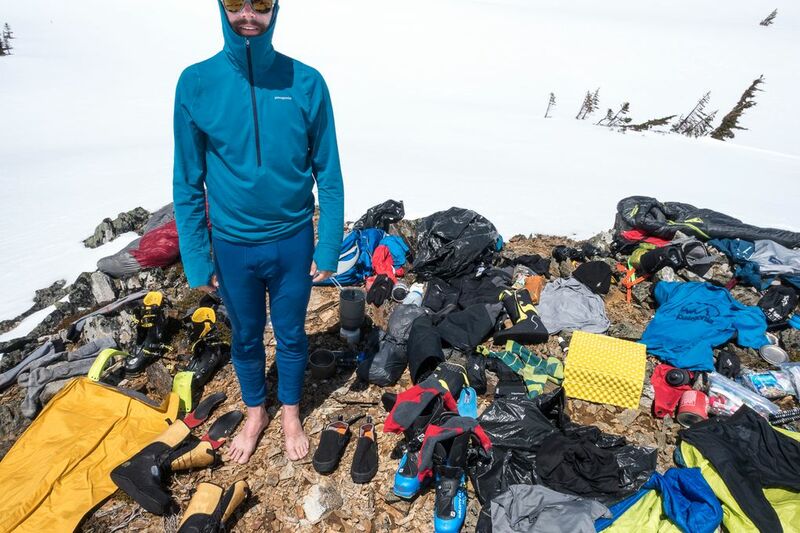 They subsisted on backpacking food dehydrated and packed months, and even years, in advance. Typical fare for Kostanich included dehydrated quinoa in southwest spices, with kale, zucchini, Parmesan cheese and freeze-dried chicken. Chocolate was a staple. By the end of the trip, they were gulping down multiple cups of instant coffee. They were dogmatic about rest. Sometimes, they simply stayed put. 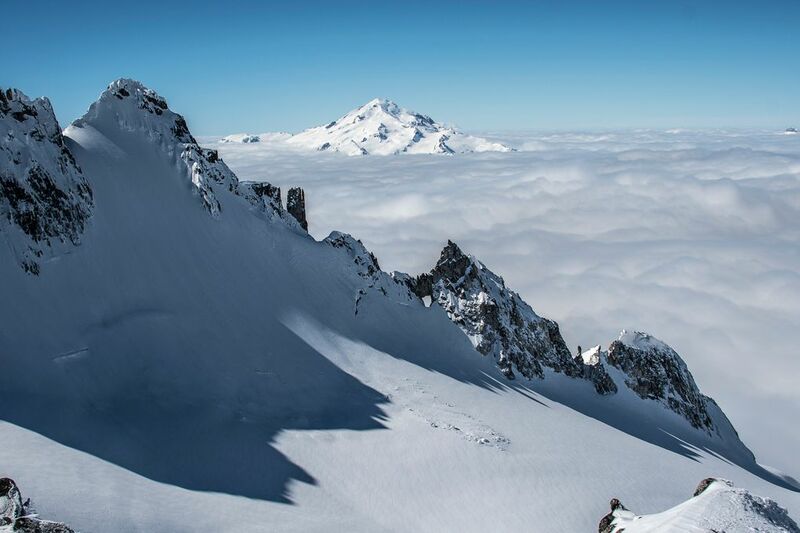 They’d purposely left their plan vague to adjust their route for weather and avalanche conditions. Each night, they’d lay out topographic maps and examine their options. With phones sapped of charge by trip’s end, the two navigated with altimeters, paper maps and a compass. “When you use these less powerful tools … you really get involved in the terrain,” McBrian said. McBrian and Kostanich each carried about 80 items and packed so light that journals were their only luxury. They waged war on moisture. It became ritual each night to dry gear and pluck pine needles from the glue on their ski skins. If they failed to stick deep in the wilderness, they’d be hosed. The journey was demanding and technical. THERE WERE HARROWING MOMENTS. 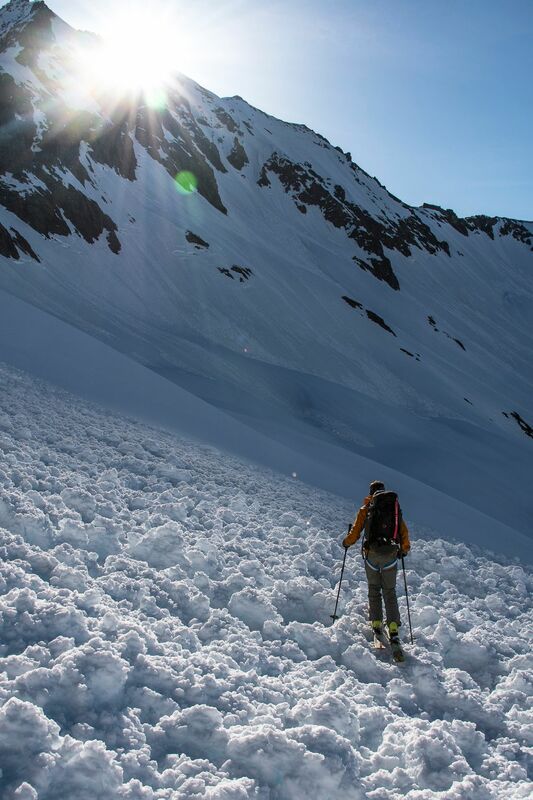 In the Picket subrange, “We kind of got into some terrain just at or beyond the limits of the technical gear we came with,” McBrian said. Perhaps their most important tool was a satellite phone. They called McBrian’s NWAC colleagues weekly for weather forecasts. Kostanich updated his wife, Emily Larson, on progress every few days. Back in North Bend, Larson, a schoolteacher, managed logistics. When they needed it, Larson was the one “fast-talking” fellow skiers like Skoog and Volken to schlep in supplies. Finally, on June 4, McBrian and Kostanich came within a few hundred feet of Canada. Rappel down a gully, ski a few turns and then they’d be able to touch the border. A large cornice, though, loomed over the gully. The mass of overhanging snow could break over them and trigger a slide. They couldn’t stomach that risk. Their route blocked, they skied out instead. Close enough. When they reached the shore of Ross Lake, the skiers chartered a boat ride. Back at Highway 20, they popped Champagne. OUTDOOR SPORTS ARE UNIQUE in that you rarely face an opponent. The parameters defining accomplishment are often self-invented. What’s left to pioneer when the firsts are taken? Volken said ski adventurers are leaning toward speed or “enchainments” of several routes. “It does seem as though there’s a revival of appreciation of high routes — linking together the beautiful mountains we have in the Cascades and Olympics,” Skoog said. McBrian described the pair’s journey as “an expression of our love” for the Cascade range. 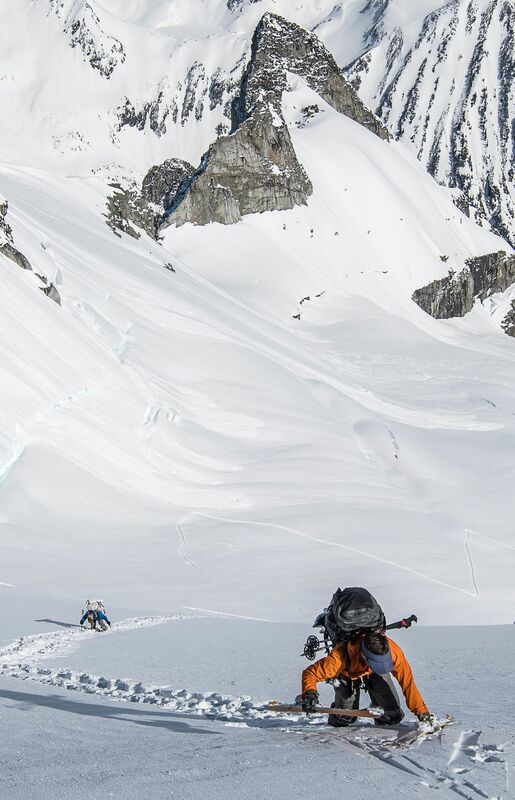 “There’s a strong artistic element to alpinism, including ski touring. It’s kind of an art project,” McBrian said. Perhaps in that frame, the pair turned 34 days of plodding into Picasso. Returning to civilization, with its noise and distractions and clutter wasn’t easy, Kostanich said. Both he and McBrian waited a day to turn on their phones.